You will need a club membership in order to book these tickets and you MUST have entered your boat details. 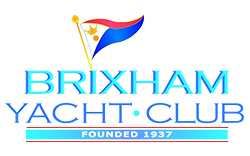 Boat details entered via your member portal MUST include your sail number, 2019 IRC / Non-IRC* handicap rating, IRC / Non-IRC* certificate number and a copy of your IRC /Non-IRC* Certificate (as a PDF file upload). Notice of Race (NOR) and Sailing Instructions (SI) are provided as Downloads. Please select this ticket if you wish to only compete in the Coastal Series Yacht Racing. Please select this ticket if you wish to only compete in the Coastal Series Yacht Racing and have entered a yacht race series at another local Yacht / Sailing club.